A helicopter has crashed near Boroughbridge. A helicopter has crashed near Aldborough in Boroughbridge according to police. Police received reports of the crash at 1.23pm today, Wednesday May 30. 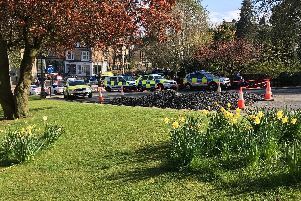 Police officers, fire and ambulance crews are currently at the scene, but police are not yet able to confirm whether there have been any casualties. Follow Harrogate Advertiser on Facebook and Twitter for the latest updates.